A dog peers through a window in a white fence at Harpers Ferry, West Virginia, USA. 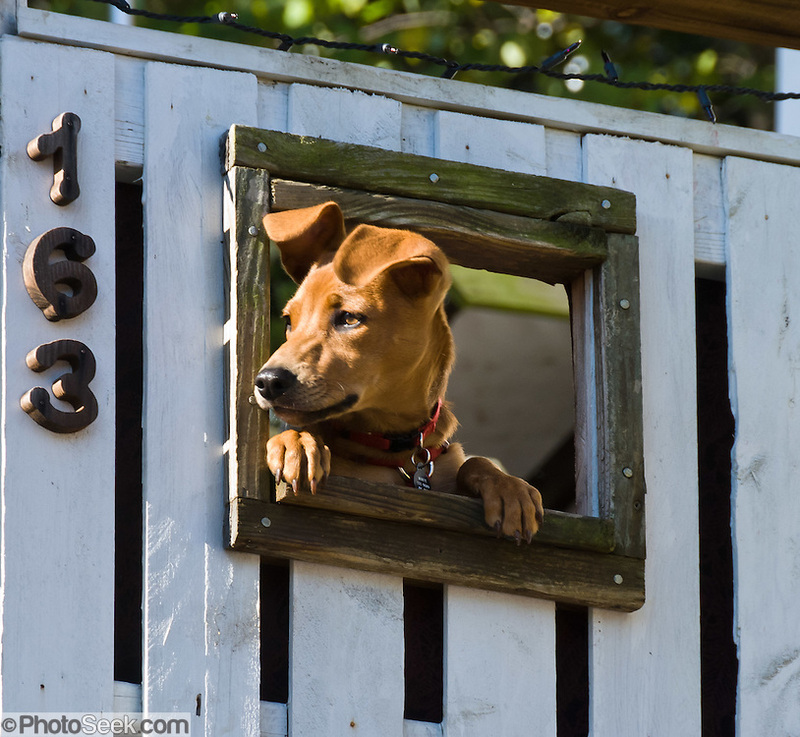 A brown dog peers through a window in a white fence at Harpers Ferry, West Virginia, USA. Harpers Ferry is a historic town in Jefferson County, West Virginia, one of the few towns directly traversed by the Appalachian Trail. The town contains both Harpers Ferry National Historical Park and the populated Harpers Ferry Historic District (higher above the flood plain), at the confluence of the Potomac and Shenandoah Rivers where the US states of Maryland, Virginia, and West Virginia meet. Historically, Harpers Ferry is best known for John Brown's raid on the Armory in 1859 and its role in the American Civil War.